I was reading an article over at MickMel.com entitled, “You Can’t Fake It On Social Media“. The thrust of the article is that for social media to work for an organization, you must actively engage with people through social media. You can’t fake it. But is that really true? Can you fake it? The reality is that it’s pretty easy to fake social media. It’s easy to install a blog, it’s easy to setup Facebook, Twitter and LinkedIn accounts. Plugins make it easy to post blog comments to Facebook and Twitter. It’s easy to automate responses and retweets in Twitter. It’s even easy get the content for blog through outsourcing. I could go on and on. It’s the easy of faking it that makes it so alluring. If you wanted to your church could look like you have a pretty great social media presence. But if this is all you are doing, then you’re only looking like you have a great social life. It’s like the guy who shows up at all the activities for a few minutes, makes sure he’s seen at church each week, but quickly leaves and never gets beyond the conversation depth of “Hey, how’s it going?” “Great, and You?” “Great! OK, I’ll see ya later.” He may look like he’s very socially engaged, but he doesn’t have any true social connections. So, in the end, his social life is a facade. The way most people think about social media, the most important aspect of social networking is connecting with people. The stronger the connection, the better you will do with your social media. Key to connecting with people is actually engaging people and interacting with them. This means creating situations where people can connect with you and then making sure to follow through by interacting with them. A blog is one example of creating a situation where people can connect with you. You post something that can start a conversation, preferably asking some questions at the end of the post, and then make sure commenting is on. That’s the creating the situation part. When people start commenting, you also need to be paying attention enough to see it and then take the time to respond within a timely manor. Twitter and Facebook are also examples. In these cases you can post questions and comments to engage people, but even the act of having a Twitter or Facebook account is creating the opportunity for people to connect with you. But, again, you also need to have the follow up. If someone contacts you via Facebook or Twitter, you need to see it and respond to it. Without both sides of this equation, you will not connect with people. The other thing that can make social media work is value. Value can actually work even if you have little or no connection. In these cases it’s the value that is the real appeal to people. Social media is just the channel through which they find out about the value. For Example, I have no connection with Groupon. They do not interact with me in any way. However, I am a fan of Groupon on Facebook and if they post a deal that I like, then I’ll buy. It’s not a personal connection that is motivating me, it’s the value of the offer. Can You Fake It And Have It Work? I think you can to an extent, but only in certain circumstances. If you are in a situation where you are providing something people would value, then you can use social media as channel to communicate that value with people. But don’t think that is forming a strong relationship with those people. I really don’t care if it’s Groupon, LivingSocial, or any other deal a day site. I have no loyalty to them. I just want the deal. So, the effectiveness of value based social connections is limited. If you are not in a situation where you have something to offer which people would value or you want to create real relationships with people, then you need to actively work on those connections. For churches, I think this is where we are. While what the church is “offering” certainly has great value, the question is whether people will value it. Often times, especially with those who are not believers, they won’t. Our bread and butter is the opportunities for connecting with people and developing relationships. And that cannot be done on auto-pilot. So, if your church is using social media, use it wisely. Create situations where people can and will engage you. Pay attention to your social media channels so you know when people try to engage you. Always respond in timely manor with a personal response. 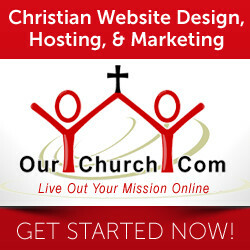 Does your church have a presence on social media? 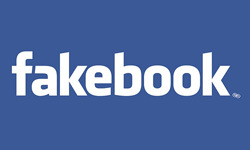 Do you think a church can get away with faking social media? This is the downside of social media marketing. It can be faked. I wouldn't though, your main goal should be engaging with your audience and being honest with them so in turn, they remain loyal to your brand. "The thrust of the article is that for social media to work for an organization, you must actively engage with people through social media. 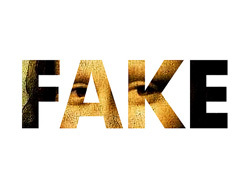 You can’t fake it" – maybe not entirely but what about partialy fake, the best one?